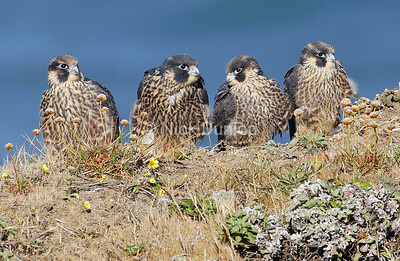 All anatums. 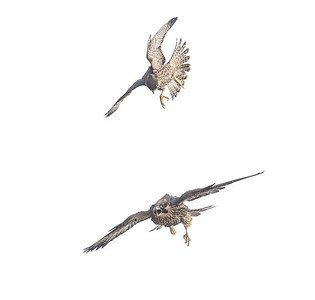 Note the differences in malar stripe width and cap coloration. 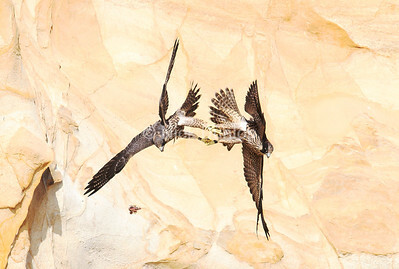 Anatum young. 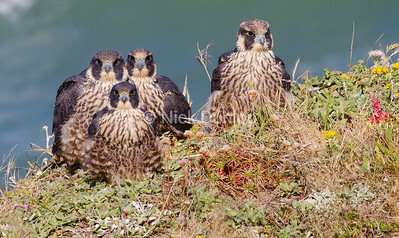 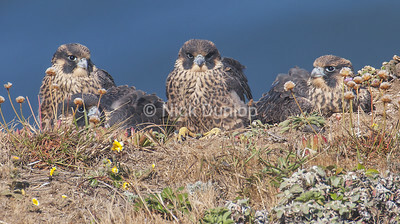 3 females, 1 male. 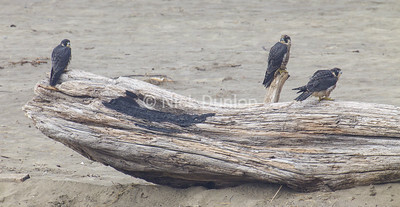 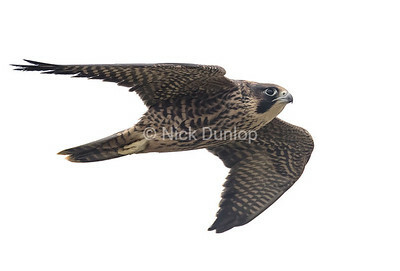 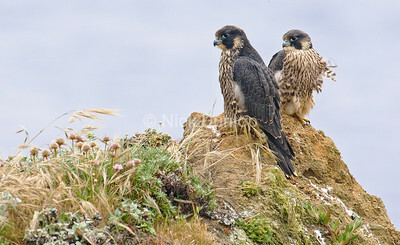 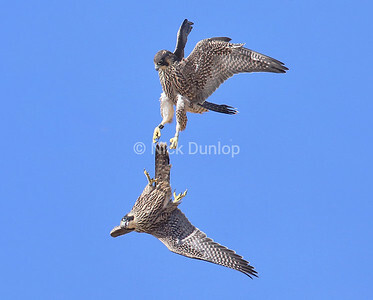 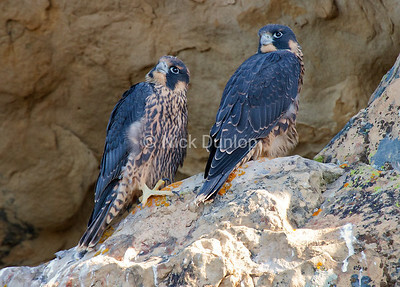 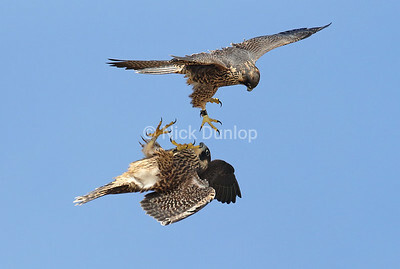 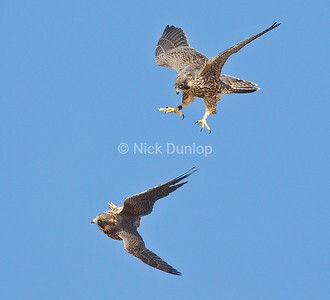 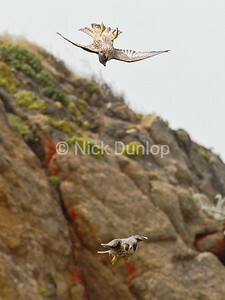 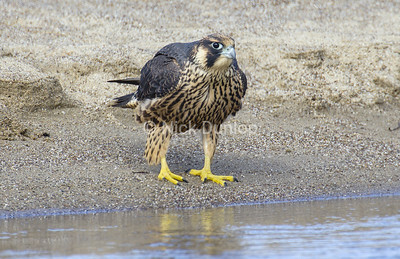 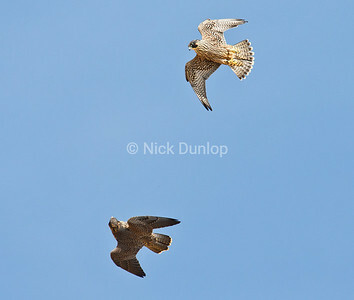 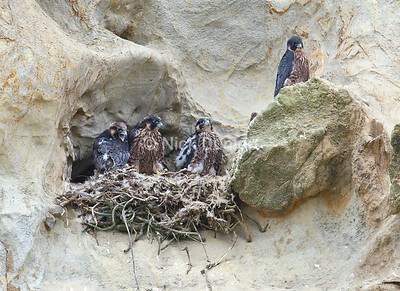 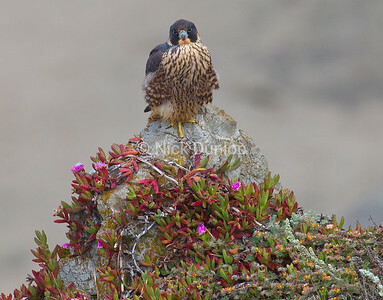 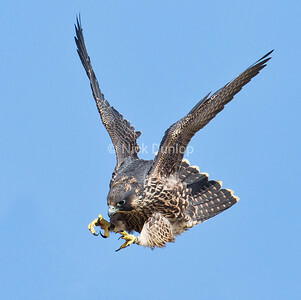 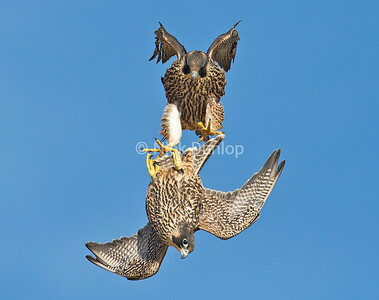 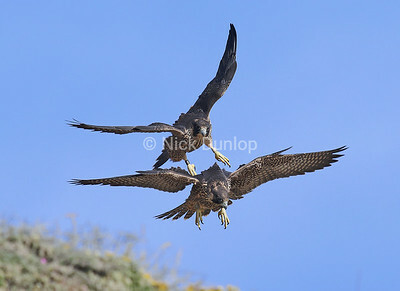 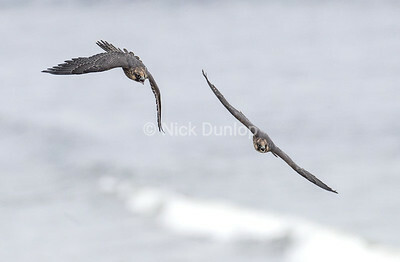 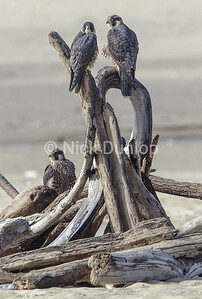 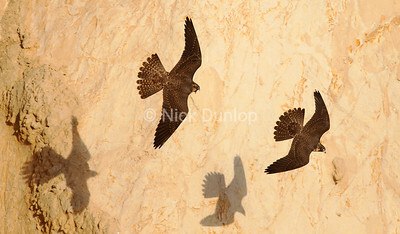 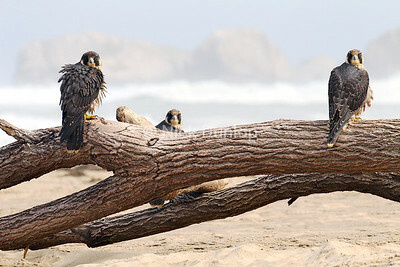 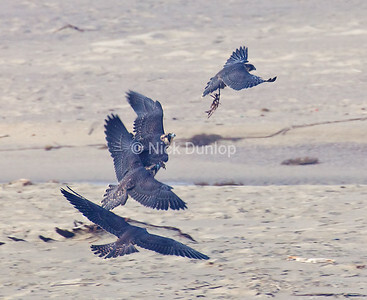 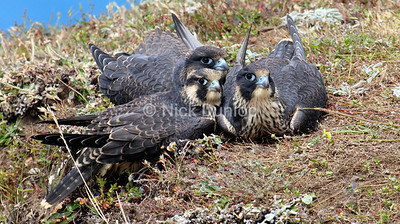 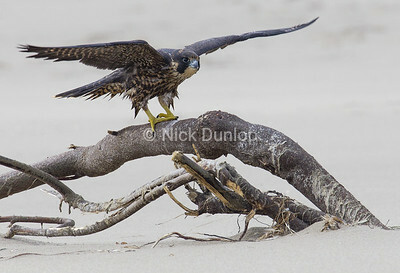 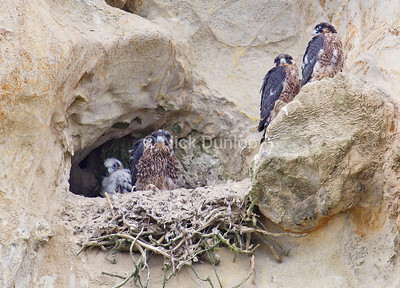 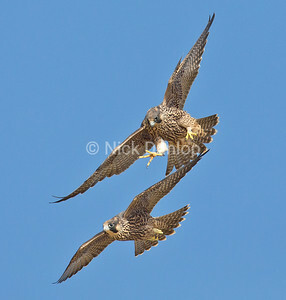 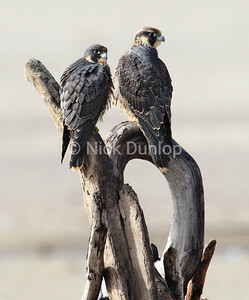 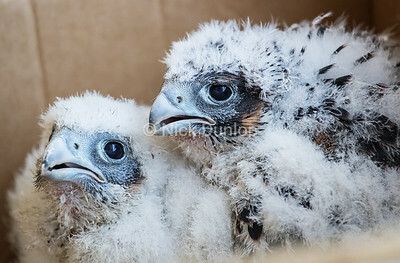 Two young Peregrine Falcons lock talons and let go of the food they were fighting over.